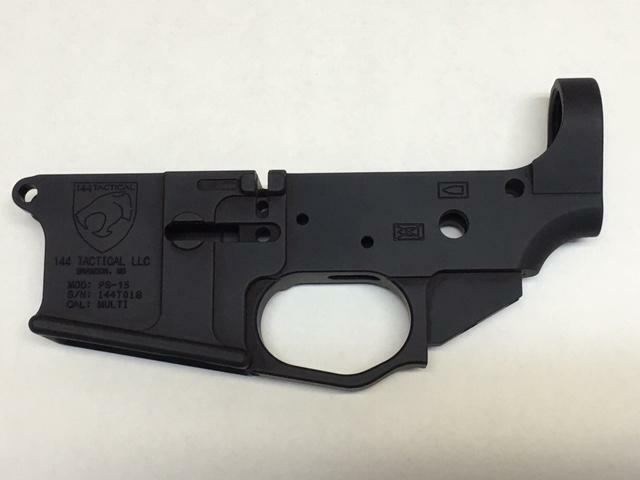 144 Tactical PS-15 stripped billet lower receiver. Tensioning screw "built in" to take out slack between upper and lower receiver. Solid machined construction built out of 7075 billet aluminum. 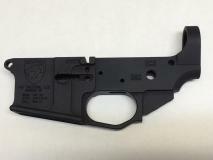 Marked Multi Caliber for use with .223, 5.56, 6.8, 300 AAC ect.